Here we are in 2011. The world and technology are changing faster than we know what to do with it. Our passion is needlework, a time honored tradition. Yet somehow we have to embrace the future and embrace what it can do for us. So……. tomorrow Bedecked and Beadazzled will be featured on Groupon in the Baltimore area. For those, that don’t know yet what Groupon is, you can check out their website here. It’s an online “coupon” purchasing system with branches for different cities. It’s a great value for the purchaser. Every morning an offer is sent via email, facebook or twitter. You tell them a little about yourself and they customize the deals that are most relevant to you. You can then share the deals on your social network so that even more people can share the deal. See how young and hip all this is. Which got me to thinking about all those young and hip potential needlepointers. They need to come and visit Bedecked and Beadazzled. 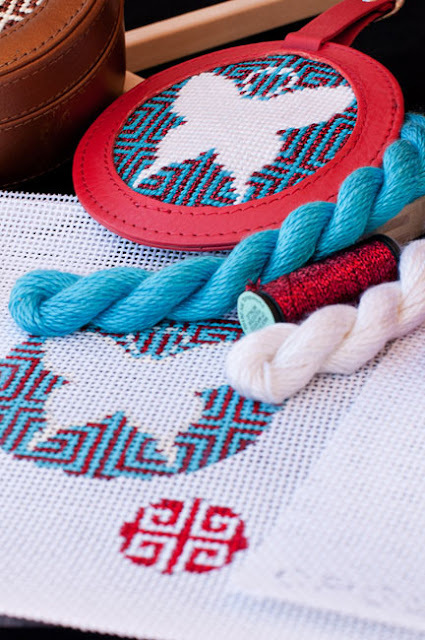 We are offering a Beginner Needlepoint Class to first time customers at a reduced rate. 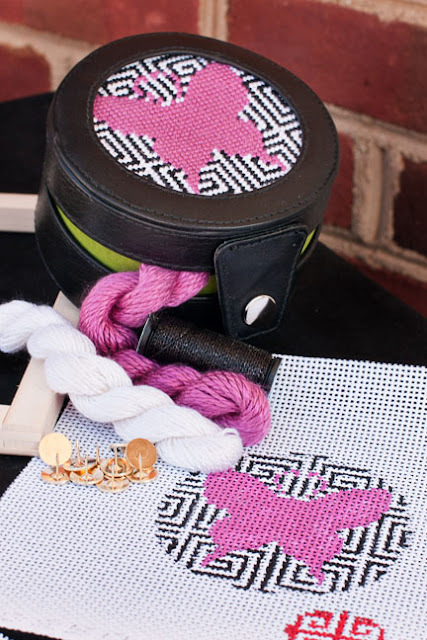 Complete with all the frills, this two hour class will include a handpainted canvas by Jenny Henry, our very own twenty something (OK, she may finally be 30, but you get the idea.) 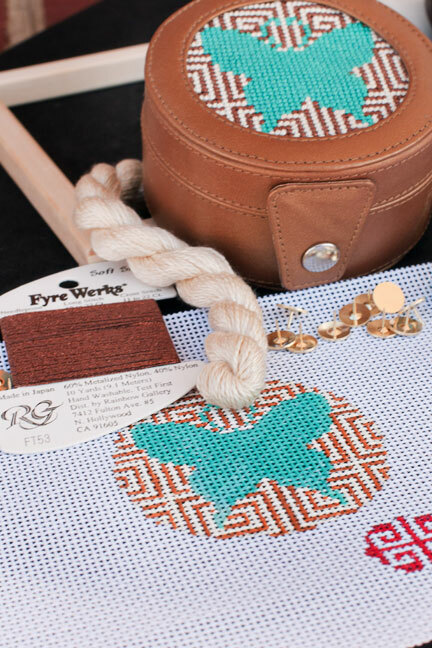 gorgeous, easy to use threads, stretcher bars, tacks, scissors and your choice of either a leather jewelry box or luggage tag to finish your new needlepoint. This is a beginner class; it’s designed as a fun Saturday afternoon for the girls. Think about gifting it to your daughters and their friends so that they can get together, make something and learn a new skill at the same time. Or maybe it’s a mother/daughter or sister afternoon. Either way, it’s a great way to introduce newbies to the craft we love. Watch your email tomorrow if you are groupon subscriber, opportunities await!